ASIC’s head of liquidator regulation Thea Eszenyi. When the most senior officer responsible for the regulation of registered liquidators took to the podium at the Association of Independent Insolvency Practitioners (AIIP) inaugural conference last Friday afternoon, your correspondent was unable to detect any sign of inner turmoil, and to some that might’ve seemed odd. 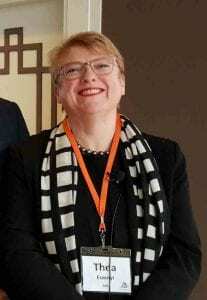 Thea Eszenyi after all is a registered liquidator herself according to the most recent list of practitioners published by her employer, the Australian Securities and Investments Commission (ASIC). She knows how tough it is to make a quid in the current market. Some might say she knows better than most, given it was only 12 months ago that Eszenyi and then colleagues Sam Davies and Andrew Harding were forced to shut their McGrathNicol-branded practice in South Australia because they couldn’t generate enough fees. For Eszenyi, next stop was with the bureaucracy, assuming the role of top liquidator cop with the corporate regulator. Yet despite her familiarity with the profession’s stresses, Eszenyi stood up in the conference room at the Hyatt Hotel in Canberra and without blinking told delegates that in effect their concerns about the shortly to be imposed industry funding levy didn’t matter. It was happening and they better be ready. “I can’t waive it,” Eszenyi told the audience of more than 100 insolvency practitioners. The best option for anyone facing the possibility of being unable to meet their levy obligation was to speak to their bank and speak to ASIC, Eszenyi said. “Stick your hand up and have a conversation,” she encouraged them, though given the mood of resentment gripping the profession as the January 2019 levy deadline approaches INO suspects some might have felt what she really meant was ‘stick up your hands and surrender your valuables’. But that wasn’t the end of it. Insolvency News Online has heard that some firms could be looking at levy contributions in the order of $700,000 plus. The levy makes a mockery of ASIC’s obligation under the ASIC Act to “reduce business costs” and undermines confidence in the regulator and the politicians ASIC is answerable to. Eszenyi couldn’t say it of course but the only costs being reduced here are ASIC’s, which means more revenue for government. If government declines to use that revenue to fund better enforcement outcomes then the unscrupulous will gratefully incorporate that into their phoenix-based business plans and the fairness and efficiency of markets – the other obligations ASIC is statutorily bound to uphold – are further eroded. Fortunately the tension growing in the room as Eszenyi explained how the levy would be extracted from her audience was relieved when it was suggested that when ASIC issued its bills, it include a flyer from conference sponsor Australian Invoice Financing. Almost everyone laughed. Insolvency News Online spoke to plenty of delegates both before and after Eszenyi’s presentation. The general mood seemed to be that their concerns have been ignored, though they respect Eszenyi for having the courage to prosecute her political master’s agenda in person, rather than by edict. Set against ASIC’s own failure to comply with its obligations under the Act though, that’s small comfort, if it’s any comfort at all. 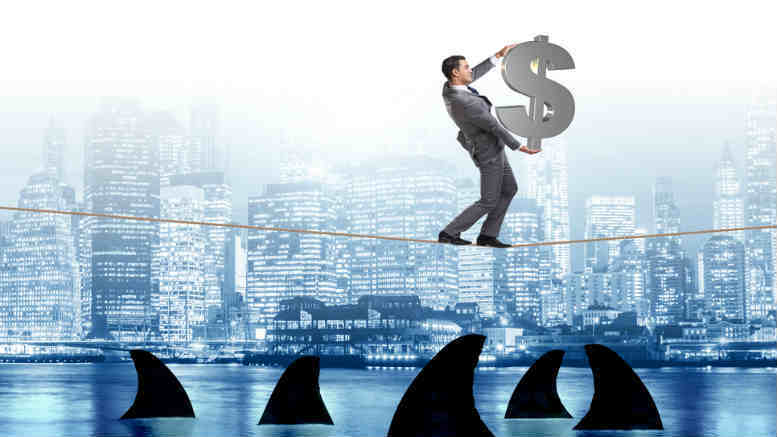 4 Comments on "ASIC levy carries loan shark-level arrears rate"
Over the last couple of years there has been a trust deficit allowed to develop between ASIC (and AFSA) and insolvency practitioners. This ‘us versus them’ mentality being curated by the regulators discourages applying for registration as a trustee or liquidator and reinforces old stereotypes about public servants. Don’t blame ASIC for the user pays industry levy. This is the brain child of the Government and their advisers looking for easy political points by appearing to be seen to do something. 700+ registered liquidators v the Government, we were never going to win this one. The Government’s justification and spin for this tax grab is that by making liquidators pay for their own regulation will encourage good behavior and therefore reduce regulatory costs. Perhaps we should try this for the rest of society. Excellent analysis by KMW of a case dealing with the principles behind charging default interest. Leads one to think that a rate of 20% if charged by a lender would be unlawful!!! This tax on insolvency processes will drive more practitioners out the market, reduce competition and innovation and drive up costs. Creditors and society as a whole will have to pay for this. How about redirecting some of the hundreds of millions in registration and lodgment fees to pay for competent regulation rather than slugging practitionsnfor doing their job?